You see, I’ve put the baking on hold for just a bit. Bombarding you with luxurious cakes and cinnamon rolls might be too soon after the holidays. No, that’s not right is it? It’s never too soon. These things are always good. The smell of chocolate chip cookies is actually a necessity in life and cinnamon rolls are a reason to wake up in the morning. Wouldn’t you agree? I’ll be up in your face with pictures of sweet cakes and chocolate things made with love before you know it. For now, we’re skipping the extra whip cream on your latte and those marathons of Cupcakes Wars. It’s just too tempting. 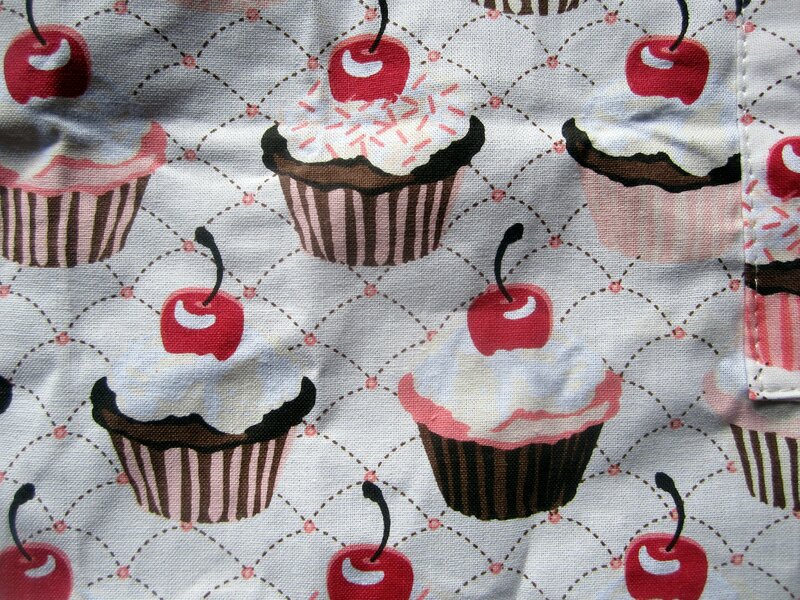 I will however show you my cute new apron with cupcakes on it. See? Don’t even pretend you don’t love them. You can’t fool me. Come on burger lovers! 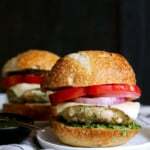 I made these turkey burgers zesty and I made them just for you. They’ve got onion, oregano, and a bit of Dijon mustard. Red pepper flakes gives it a little punch. Ka-pow! 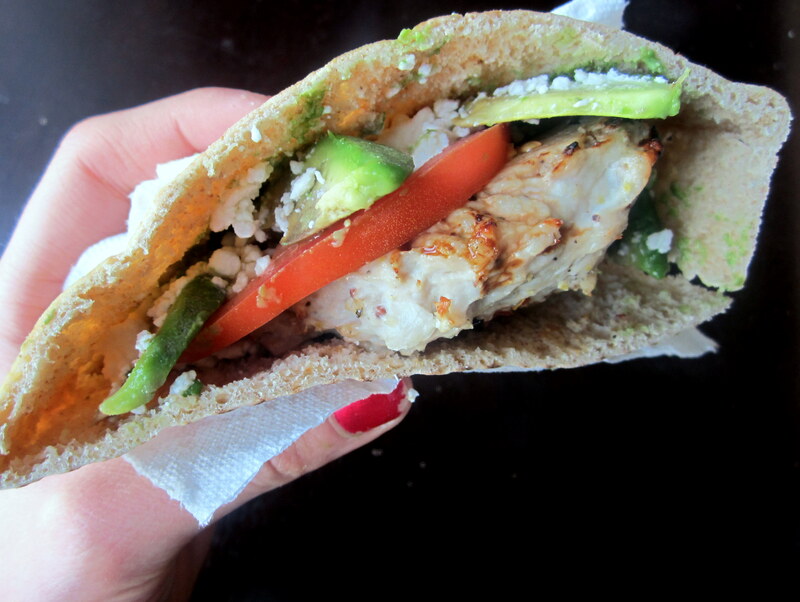 Pitas totally make these incredible, but adding feta, tomato, and avocado gives you the perfect healthy burger. Spicy sweet potato fries were served on the side. Good day. Your turn! 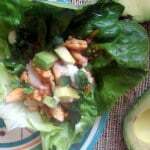 It’s a super simple recipe that anyone can make. If you enjoy reading Ambitious Kitchen and my recipes, you can subscribe to receive emails when I post something new. Just look to the left side and enter your email address! Join me on Facebook as well, to keep up with how weird I really am. 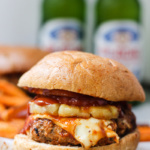 To make the burgers combine first 7 ingredients. Divide mixture into four portions and shape into a 1/2 inch-thick patty. 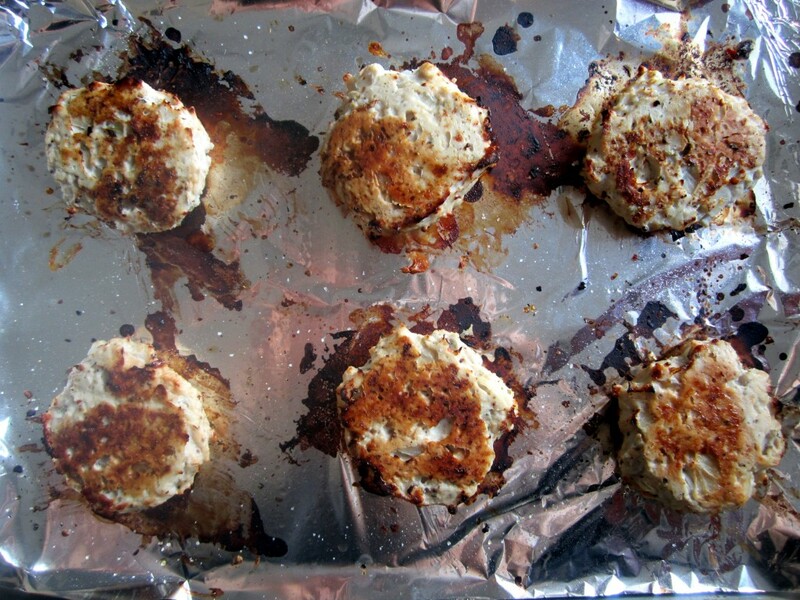 Place your patties on foil, and lightly spray patties with cooking spray. Sprinkle some red pepper flakes on top of each patty if you’d like a little spice. Place into oven and bake your burgers for about 20 minutes, flipping burgers halfway through. 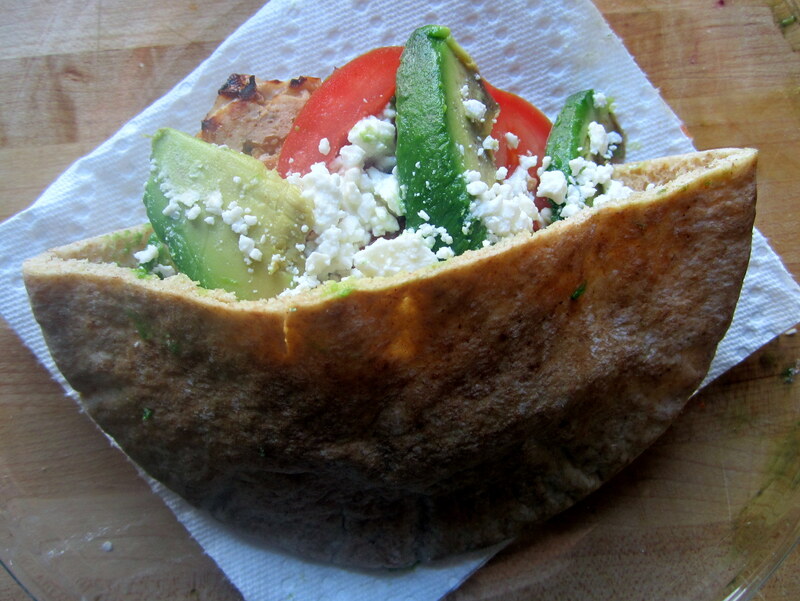 Remove burgers from oven once done and immediately place into half of a pita. 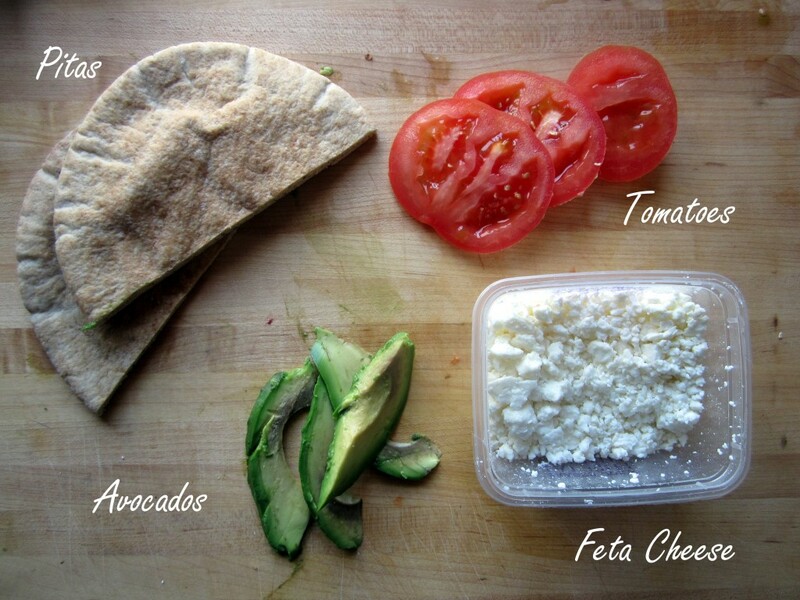 Add 1 1/2 tablespoons of feta cheese, tomato slice, and avocado slices. 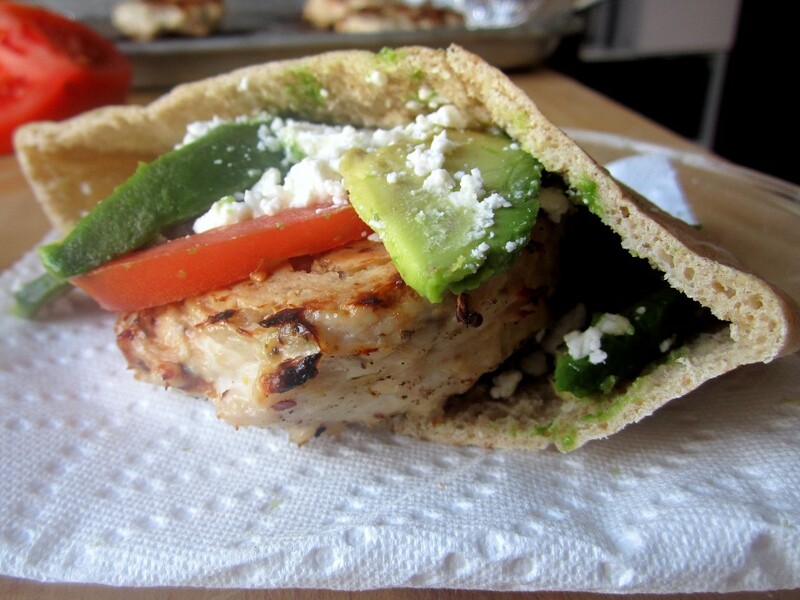 13 Responses to "Turkey Burger Pitas with Avocado & Feta"
Yum, yum, yum. I love everything about the title of this post – everything. 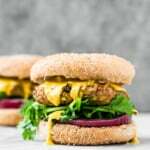 I have a particular affinity for turkey burgers myself – I’ve blogged about several different recipes! Glad you’re settling in to DC – Metro is definitely the way to go, especially if you live close enough to a Metro stop. Those of us that live in the suburbs often have to drive just to GET to a Metro. Once you’re on, though, it’s smooth sailing – but beware of Metro Center and L’Enfant Plaza during rush hour – you’ll feel like a sardine stuck in an underground can! After looking at your blog, I noticed your from around the DC area (sort of). That’s great! I did get on the wrong Metro the other day and ended up at the Pentagon. It’s a good way to experience the city, right? That’s what I told myself anyway. 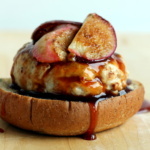 Turkey burgers are simply fabulous. I’m truly addicted, and these are very moist. Hope you make! Yes, Metro is definitely the way to go. Though you have to learn to perfect your “witch-face” when you’re riding in order to keep creepy people at bay. I’m a naturally friendly person, so I’ve had to learn the hard way! Good luck! I can’t wait to make this recipe, Monique! Glad to hear you’re getting acclimated in DC. I was out there this summer and LOVED it! This looks sooo good! 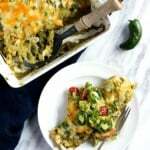 I have been totally MIA from the blog world in the past month so I just caught up on all your recipes- YUM! Also, so excited to see one of your goals to be a yoga instructor!! Thanks Molly! Glad to have you back, I need to catch up on my reading as well. Joann, happy to have you & thrilled you enjoyed the burgers! Can you freeze these? I'm usually cooking for one and don't just want to make one patty at a time. That'd just be silly.